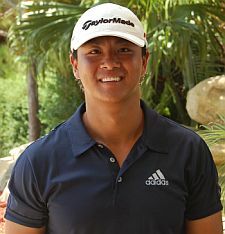 JUPITER, Fla. – Sunny Kim of Queens, NY and Palm Beach Gardens, FL, made it two victories in two days on the Minor League Golf Tour with a five under par 67 Tuesday to win by four shots at Jupiter Country Club. 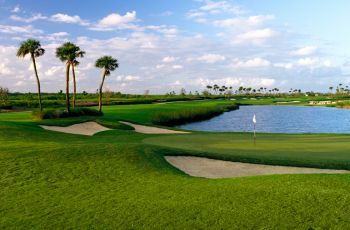 At Eagle Trace in Coral Springs on Monday, Kim shot 69 to beat Jacob Eggers of Boone, NC, by a shot. Eggers was among three players tied for second at 71 here Tuesday. Kim will try to make it three straight Wednesday at Seagate Country Club in Delray Beach. Since joining the MLGT in October, 2006, Kim has career totals of 51 victories and earnings of $223,187. Kim made four birdies on the front nine Tuesday to turn in 32, then went par-bogey-eagle-birdie-bogey on holes 10 through 14. His round Monday included five birdies and two bogeys. The MLGT’s 68th tournament of the year drew 17 starters and returned $2,180 in prize money. Kim collected $480 Monday and $690 Tuesday, including $90 on the skins game. The player with the lowest cumulative score for all three 1-day events this week will win a men's BamBoom Whistle Stick training aide provided by www.playbetterdistributors.com. Sunny Kim enters the final event with a 5 shot lead over Jacob Eggers.